In 1890, J.J. Ott gave a remarkable concert for the Buckwampum Historical Society. What made the concert remarkable wasn’t the music being played but the instrument Ott was playing. The instrument was made of stones that made “clear, bell-like tones” when struck by a hammer. You might say it was the first rock concert. A preserved 18th century homestead in Western Pennsylvania marks the spot where the Whiskey Rebellion began. 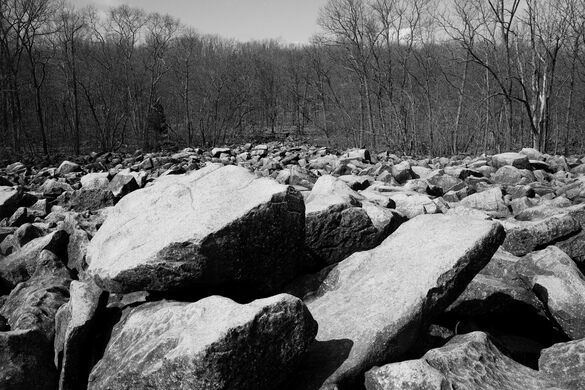 Ott procured the musical rocks from a nearby boulder field in Upper Black Eddy, Pennsylvania. 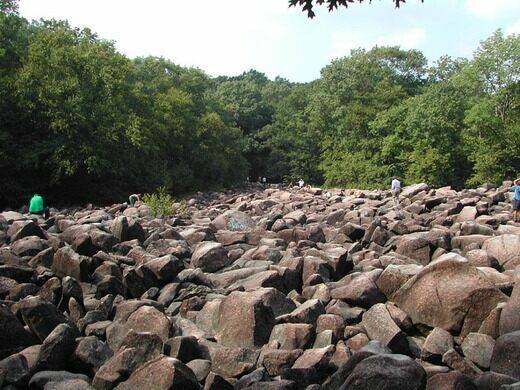 Known today as Ringing Rocks Park, the rock field occupies 7 acres of an otherwise wooded area, and is over 10 feet deep with boulders. You can listen to the sounds of these mysterious rocks below. 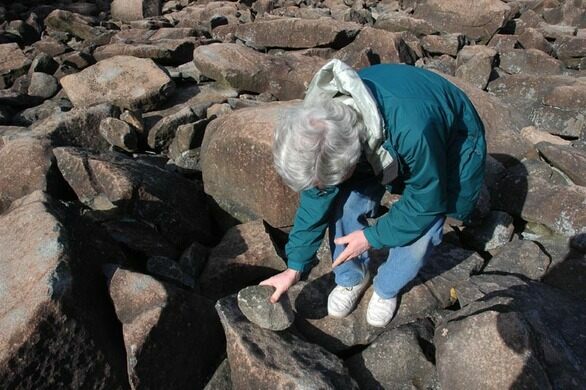 Though many are tempted to illegally pocket a ringing rock for later use, it is futile, as the rocks lose their musical ability once taken away from the other stones. As the website says, bring your own hammer! The headquarters of the Fraternitas Rosae Crucis, complete with Rosicrucian pyramids, all in the Pennsylvania woods. New Jersey's last historic covered bridge was rebuilt from pieces of the original 19th-century structure.